You guys- I LOVE FALL! Everything about it. One of my favorite things to do is go to Cornbellys at Thanksgiving Point. It is a fall festival that has all these activities for kids and adults (if you like the scary stuff). It is always so cold and windy and our babies were getting cold so we only stayed a couple of hours. It was so worth it! Look at all these happy faces. They have a cow train and tricycle racing. Ashton is pretty intent on beating everyone. He’s competitive just like his daddy. This rocking chair is a landmark. This may be the first year we have taken a picture here because it’s always packed. And yes. Rule breakers indeed. Are the pumpkin carvings not amazing?! I may be biased but the BYU one and Mitt Romney ones were my fav…. let the hating begin….Speaking of not hating- these pumpkin spice donuts- YUM! And the hot chocolate hit the spot. We were freezing! If you haven’t gone to Cornbellys yet, please go. It is so fun and we loved playing with our kids. We have both been so busy lately that it was fun to just veg and enjoy our family. Even though we both have tons of work to do we put those things aside and that time we spent was even more valuable. There is so much more to do but we were so cold and our kids were tired so we left after a couple of hours. They have lots of wooden playground sets and this big jumpy trampoline type thing. They have a little kids village, corn mazes and for the adults (or brave kids) they have 4 haunted areas you can go to. Here is a coupon for $2 off admission so you can enjoy time with your friends and family. Yay! Go here for the winner of the Pumpkin Masters Carving Kit Giveaway. 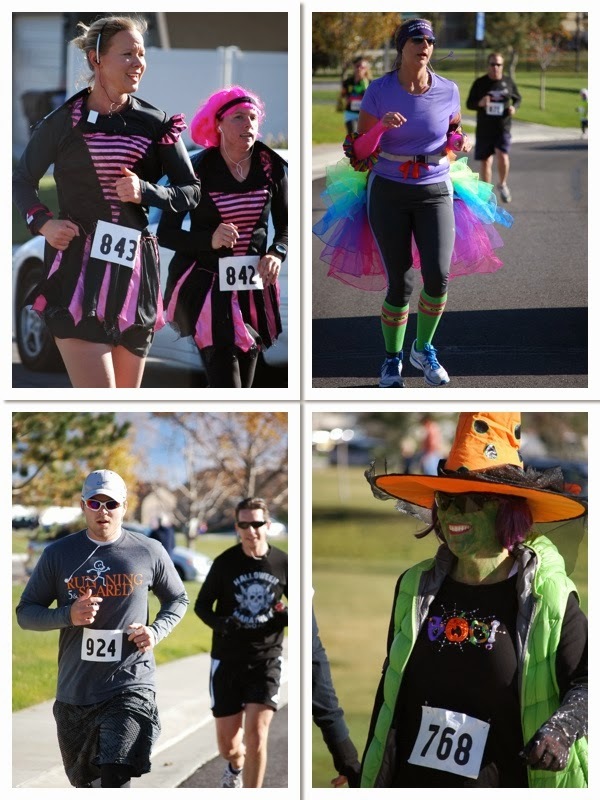 The Running Scared 5&10K is happening in Herriman, Utah on October 26th! This fun, family event will starts at 10am. 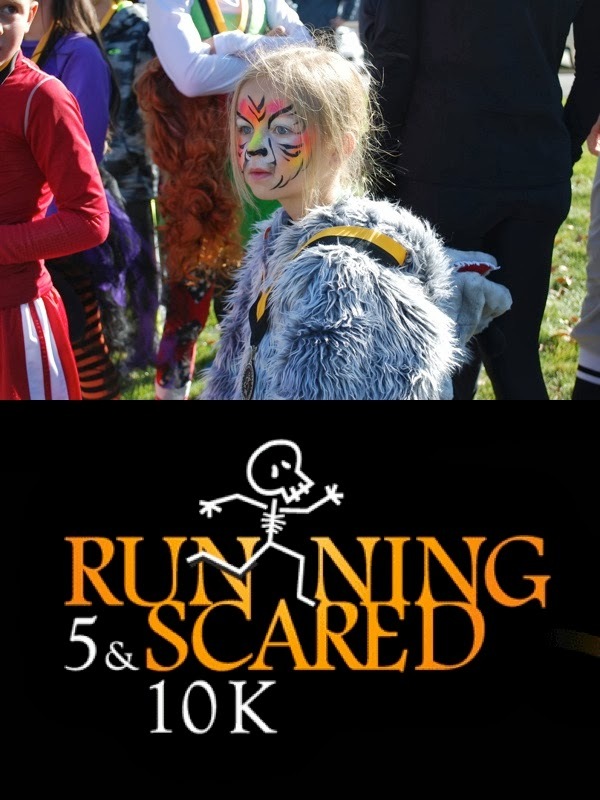 Kids under 7 run for free. 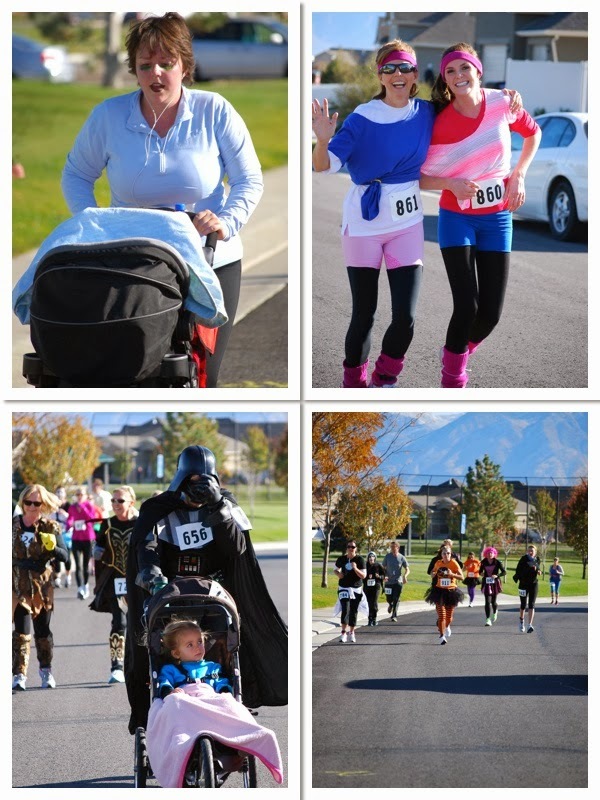 If your family doesn’t want to run with you, they can stay at the finish line and be entertained by the carnival style party! Including face painting, games, and cotton candy! The race is both competitive and non-competitive. Costumes are encouraged: spandex is optional. It’s more fun with a friend, so feel free to share the discount code “blog13” with everyone you know! First of all… check out Wonder Woman’s legs. Wow! Second, you don’t have to be Wonder Woman, or any super hero for that matter. You just have to want to get off your behind and walk, jog, or run. 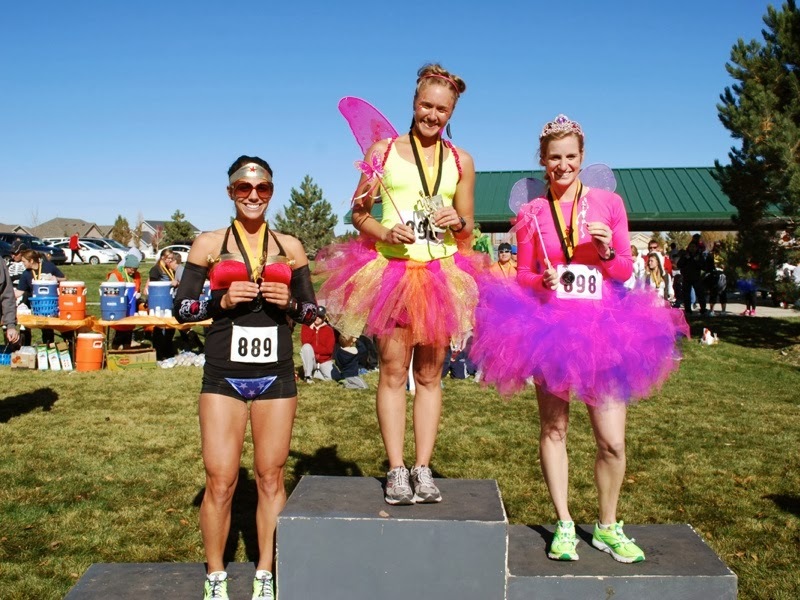 The course is as flat as can be, the atmosphere is fun, and no one every regretted a workout!